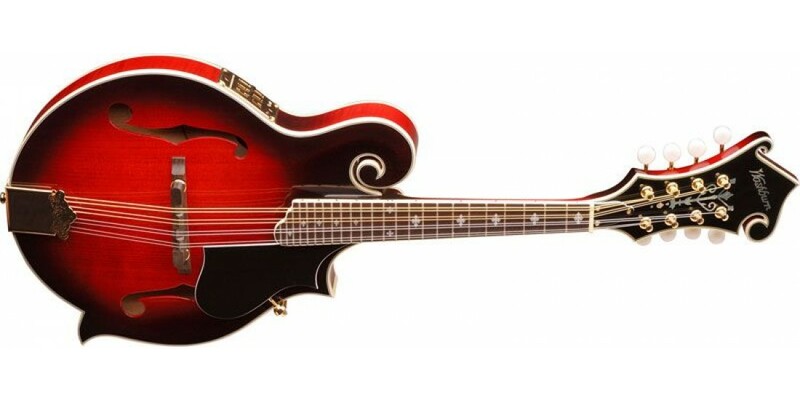 Gold hardware and pearloid tuners complete this cutaway Florentine style mandolin with hand carved solid spruce top. The M3SWRTK features North American solid figured maple sides and back. Battery powered preamp has volume, treble & amp; bass sliders. 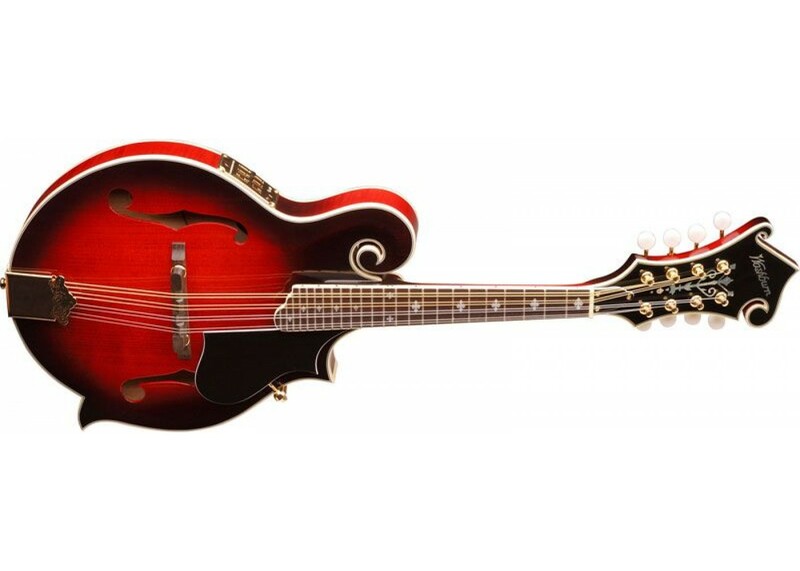 Washburn M3SWETWRK F-Style Acoustic Electric Mand..